SAMURAI - for iPhone App. 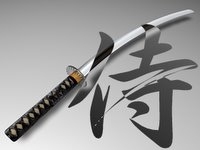 A Samurai sword(or, Japanese sword, Nihonto, 日本刀), is one of the traditional bladed weapons of Japan. Please enjoy this simple app!! You can play SAMURAI App by shaking your iPhone, like the samurai. Various sound effects play according to your action (For example, slash, thrust, smash). - Shaking your iPhone. Slash!! Shaking the sword (or scabbard). Thrust the sword (or scabbard). Shaking the sword (or scabbard) with the screen touched. Copyright© 2009 21th Century SAMURAI. All Rights Reserved.